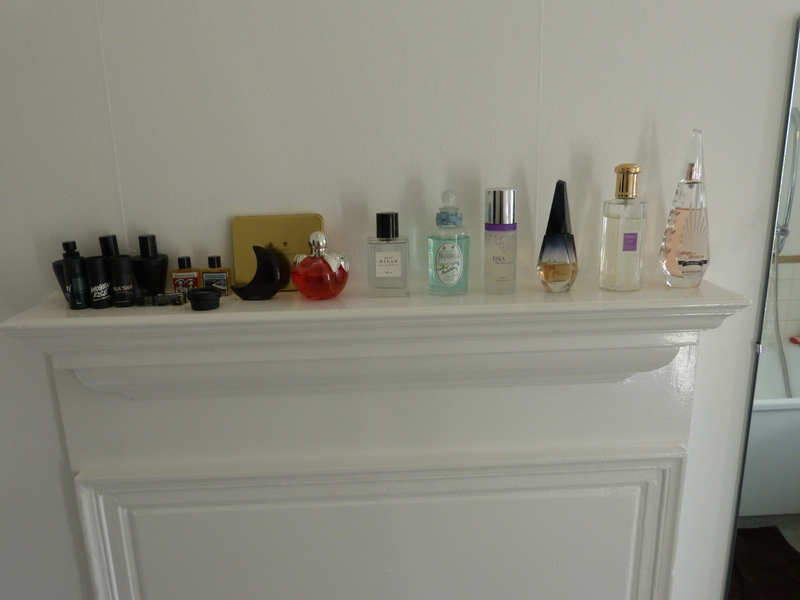 You’ve seen my bathroom mantelpiece (how decadent) before in my perfume collection. It makes a wonderful place to store my perfumes! 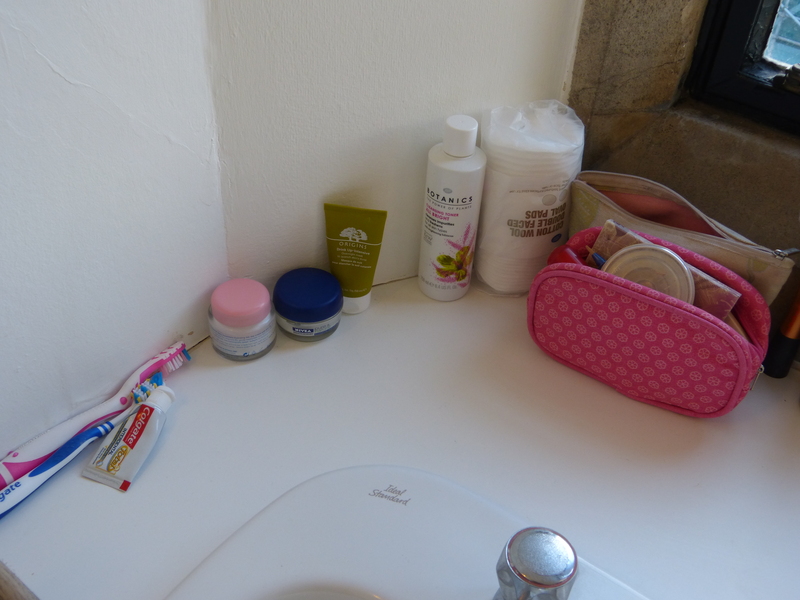 This is what serves as my dressing table, and is where I keep all my skincare and make up… It’s great to have space to spread everything out! Skincare bits (I don’t know where my cleanser’s disappeared to, which is why there’s that silly gap) and my most used make up. I love the Botanics skincare range in particular! A little bit of haircare stuff (seriously, R&B is amazing! 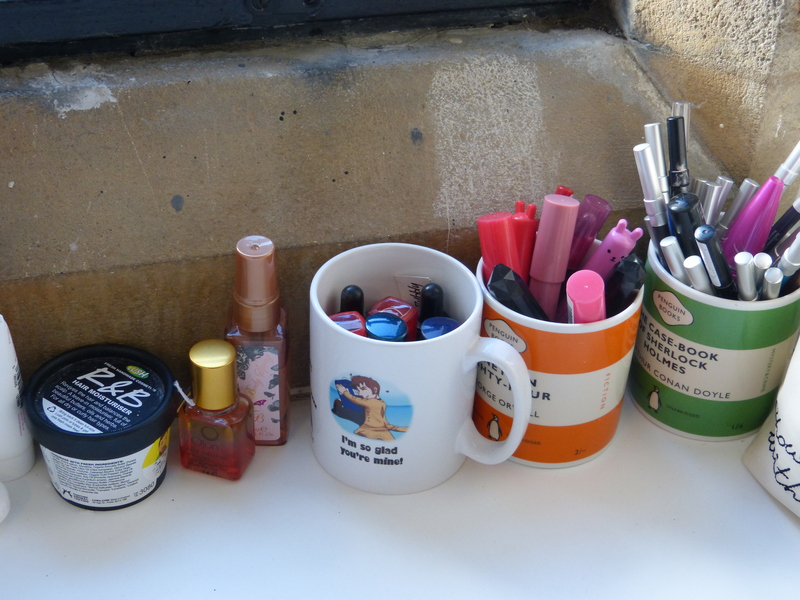 ), and then in the mugs, my lipsticks, lip crayons, and eyeliners/mascara. I adore the Penguin mugs, they’re so smart! 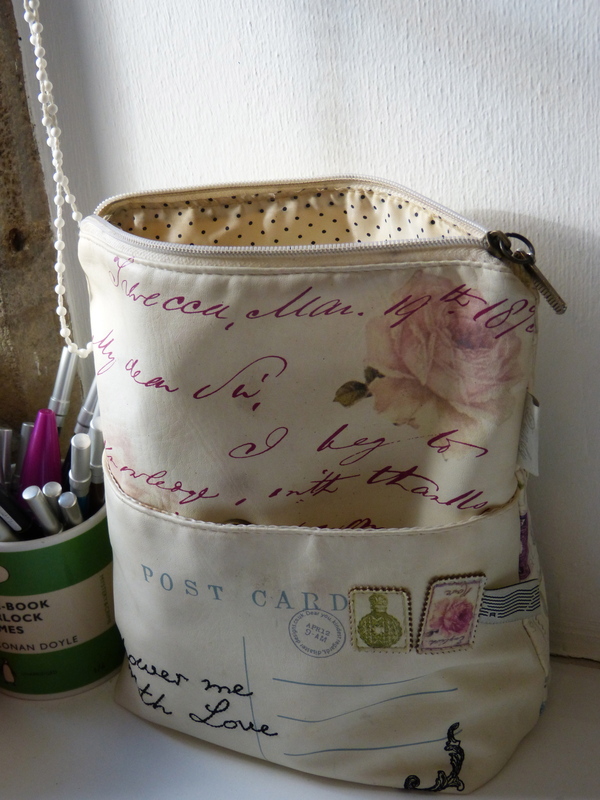 Any other loose make up tends to live in this bag from Danger Designs, which is really cute – it say ‘shower me with love’ and looks like an old postcard. It’s surprisingly roomy! 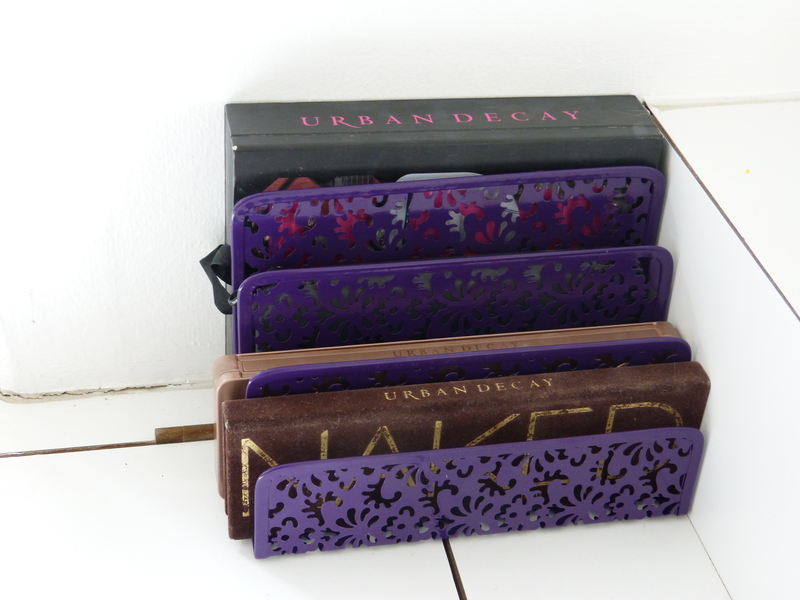 This cute letter-holder from WH Smiths is an excellent way to keep my Urban Decay palettes in one place, and I love that purple lacey pattern. It really looks so much smarter than just having them stacked up on the side! And in this set of Really Useful Boxes, I keep all my Lush bath products and soaps. 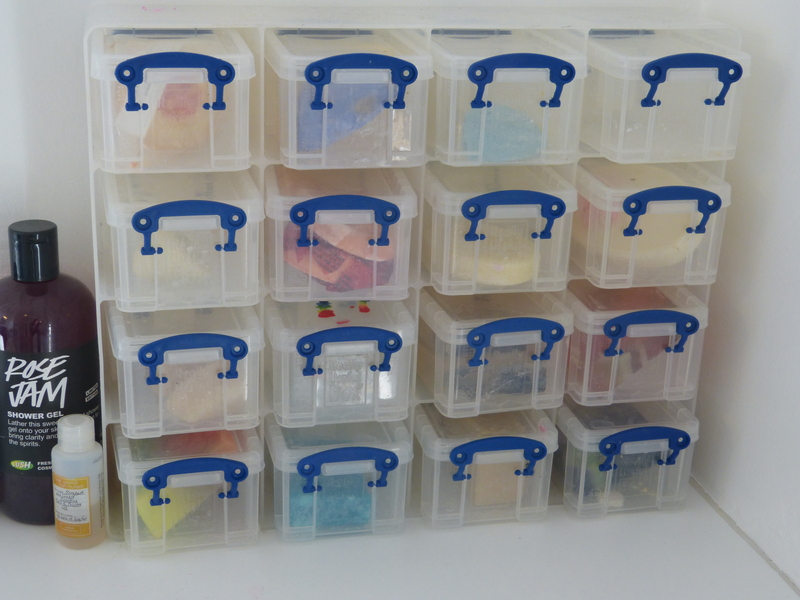 The boxes are airtight, so keep things protected from moisture, and transparent, so I can see what I fancy using! 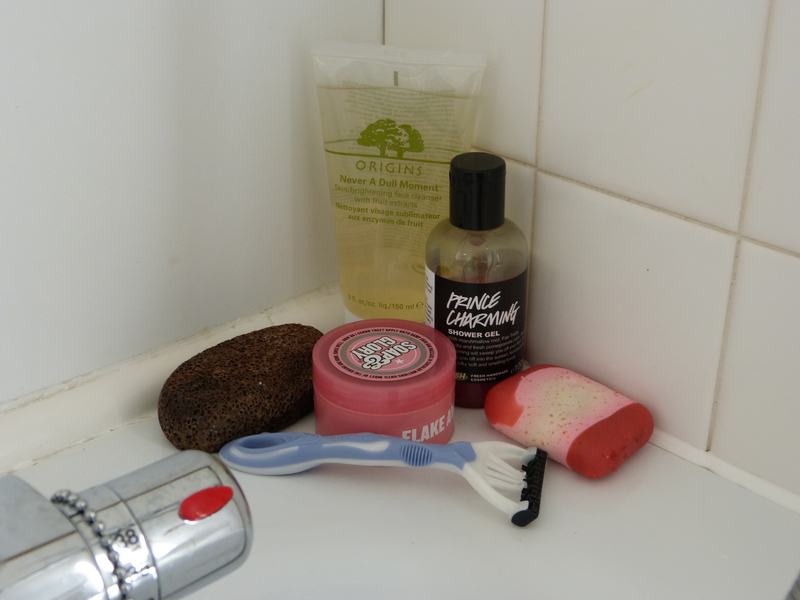 Things I’m currently using in the shower… Got to love Soap and Glory’s Flakeaway, and how cute are the Lush Valentine’s Day products? I adore this Origins face wash – look out for a review tomorrow! 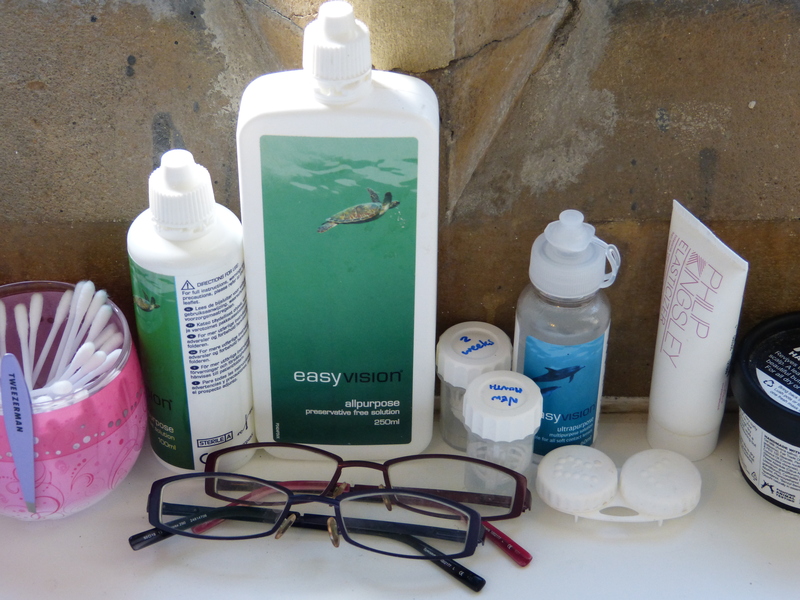 So there you have a quick tour of my bathroom – see anything you like? Do you have any recommendations for better storage? 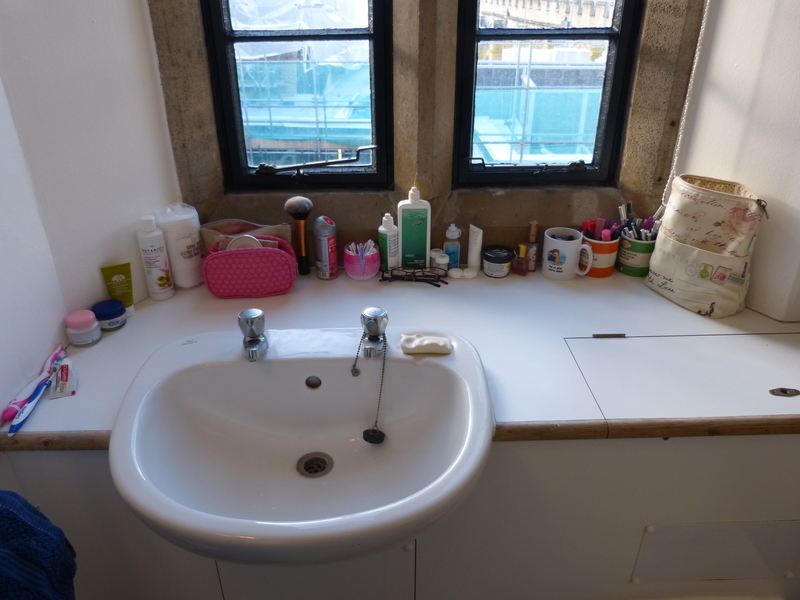 This entry was posted in Beauty, Life and tagged bath, bathroom, beauty, beauty storage, make up, make up storage, my bathroom, storage. Bookmark the permalink. A genuinely unique post. You succeeded in making me quite jealous. Very Nice! You definitely lucked out girlie. From what i’ve heard some dorms/housing situations are not so nice. So jealous of all your Urban Decay palettes! 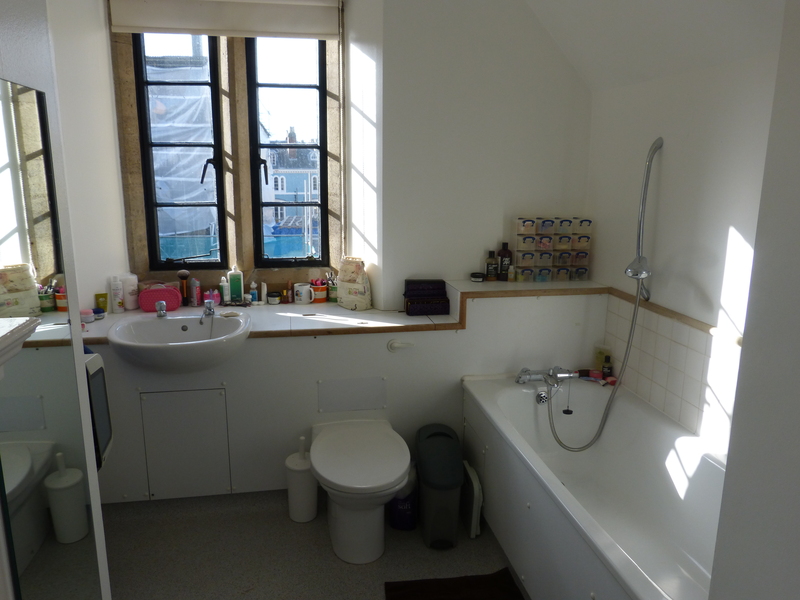 And of your bathroom, my bathroom in Bath was so cramped for four years!